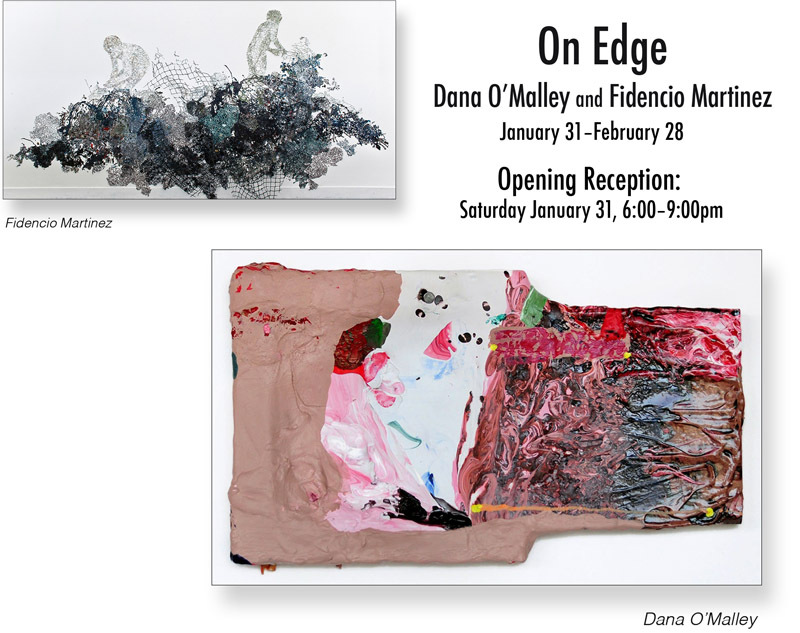 Opening tonight (until 9 pm) of On Edge, with works by Dana O’Malley and Fidencio Martinez! The show will be up until February 28th. Gallery Hours: Monday and Thursday 5-6:45 and Saturdays 11-2:00.